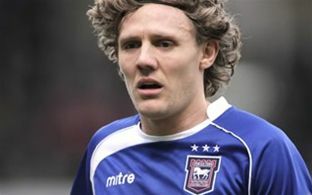 Bullard, 32, rejected advances from Premier League clubs to join Ipswich. Voted Ipswich Townâ€™s â€˜Player of the Yearâ€™ last season after a three-month loan spell, Bullardâ€™s signing is a welcome development for fans. Manager Paul Jewell expressed his delight at the addition to his squad. â€œWe have been chipping away at Jimmy and Hull all summer to try and sort something out but Hull were adamant he wouldnâ€™t be going out on loan again unless someone paid his wages. He had a few clubs to talk to but Jimmy made it clear that if we could sort out a deal then coming here would be his preference. â€œItâ€™s a great feeling to know that even though he had the opportunity to go to a Premier League team he still wanted the opportunity to come here (Portman Road),â€� Jewell told the club website. Ipswich will face Leeds this Saturday (27 August) at Portman Road.